You searched for which does not fit your . We've redirected you to 138-868, which has the proper fitment. I purchased this cable in the Daytona store. It is not exactly as depicted, mine has an 8" single cable from the main USB to where the cable splits to the 4- charging connectors. 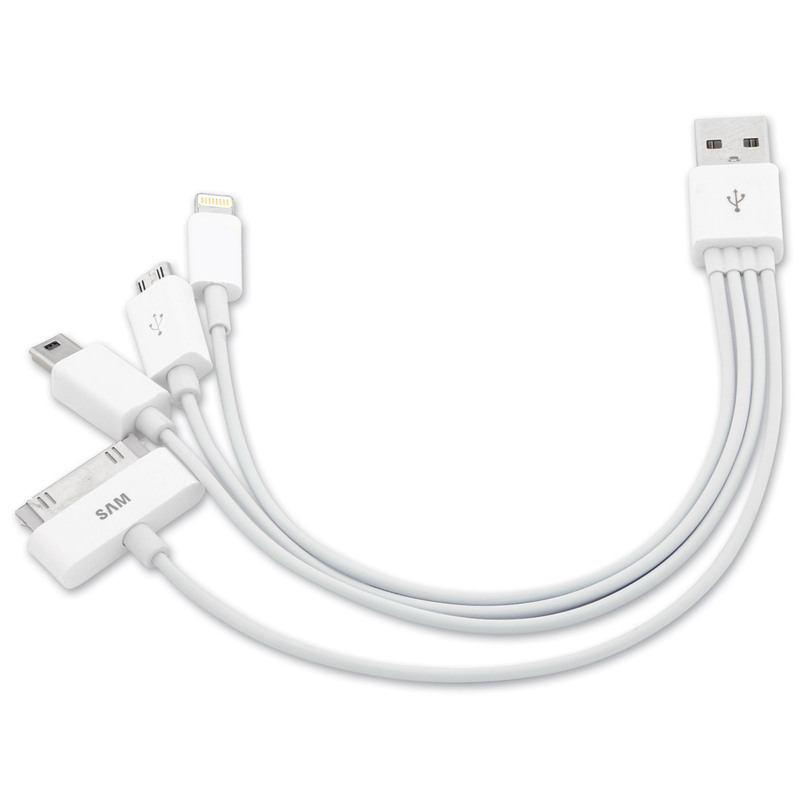 I actually like this idea better; It gives the cable some length without making it "long". Please be aware, this seems to be a "charge only" cable. Trying it with the micro-USB and my phone, and the Lightning connector and an iPad - It does charge them, but there is NO DATA connection.